♡ Day 1 – Hong Kong – Arrival to Family! 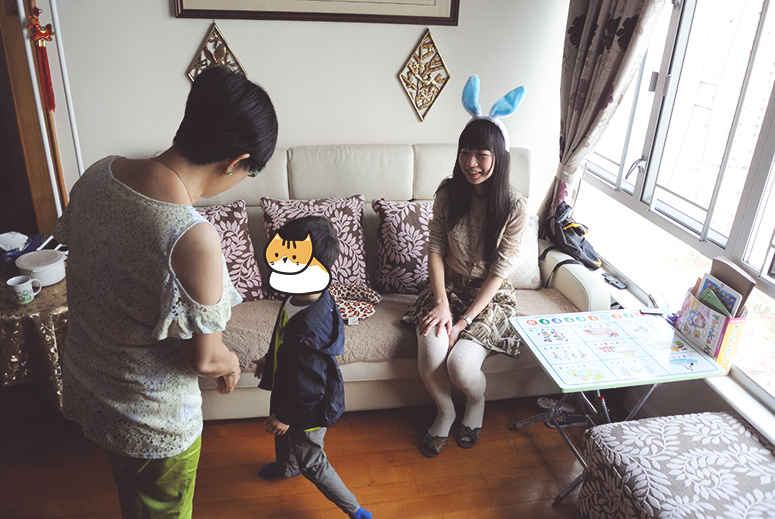 Home » blog » ♡ Day 1 – Hong Kong – Arrival to Family! I’m so excited for this weekend! Because it’s a 3 day weekend and the weather actually looks good! 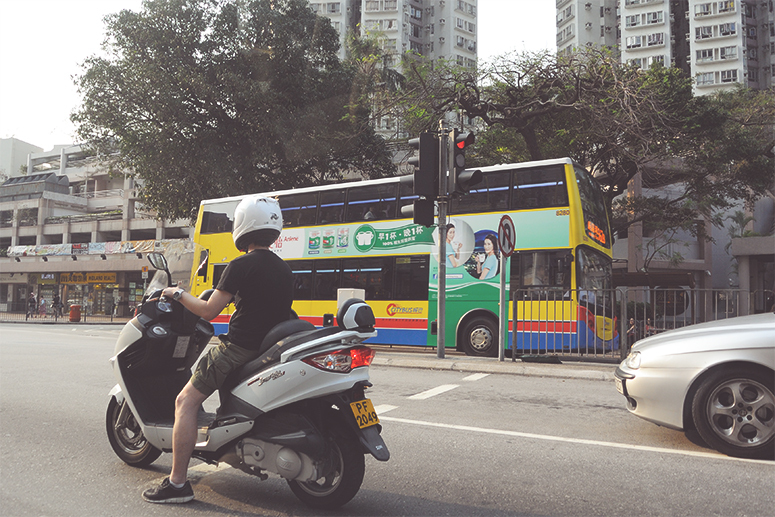 As you might imagine, it doesn’t happen in Ireland too much..
OK – I finally am getting around to posting Day 1 pictures from Hong Kong! Thanks for your patience.. I need to become faster at editing pictures! 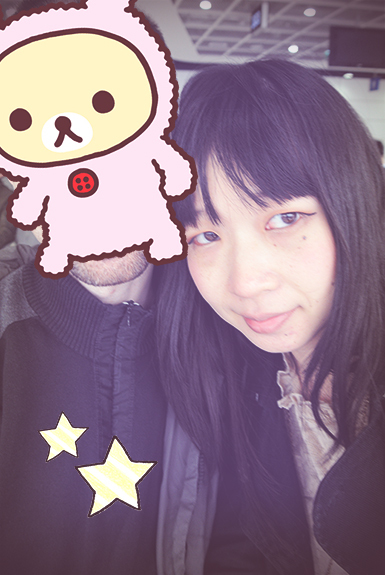 a. and I at the airport! Hehehe. 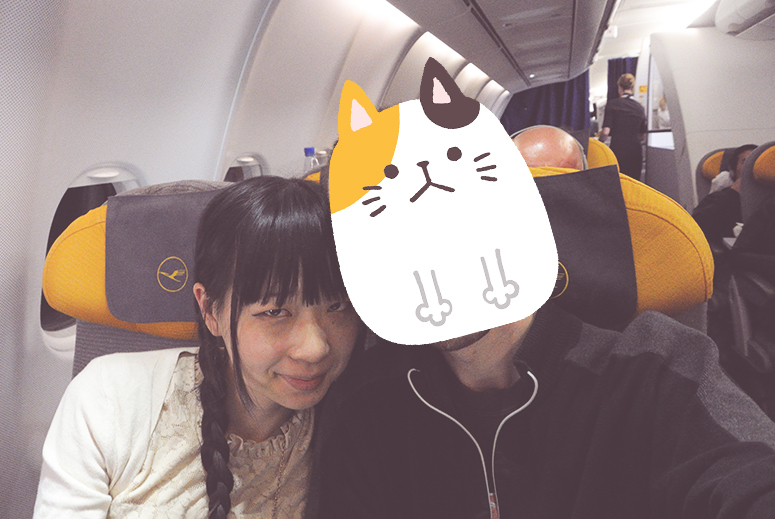 We had a short flight on Lufthansa to Munich. The food was delicious! It was actually warm.. I never got such treatment on a short haul flight. In Munich! 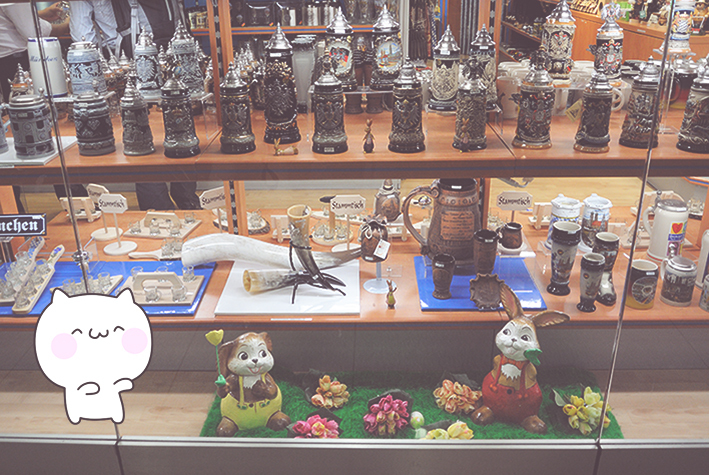 Look at those beer steins and the cute bunnies (it was around Easter)! 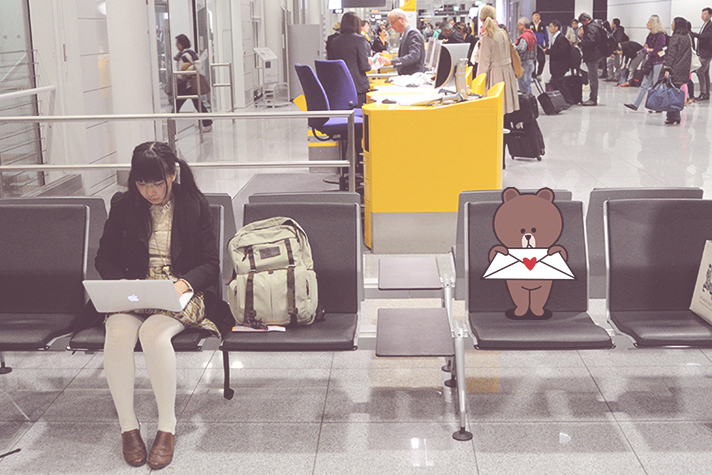 Checking email one more time before boarding my flight to Hong Kong.. Just a little addicted, haha. 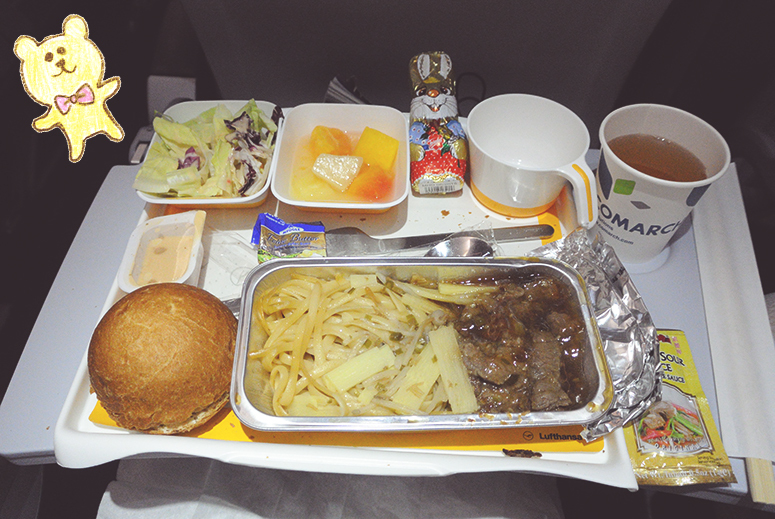 This is the Chinese meal option we got on the flight… It did not taste so good. 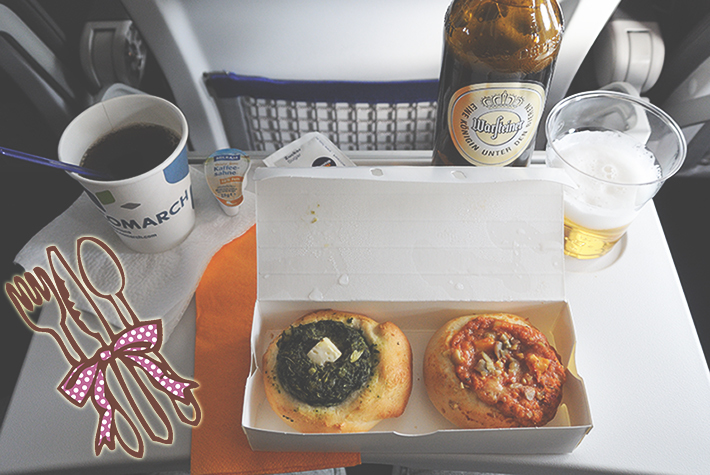 Hmm..
Actually I was quite unimpressed with Lufthansa for a long haul flight. The quality is worse than the short haul flight by a lot! The leg room was less and there was no care package! Sometimes flight attendants give you socks, tooth brush, etc., but we received none. It was nice they got us Easter bunny chocolates though! 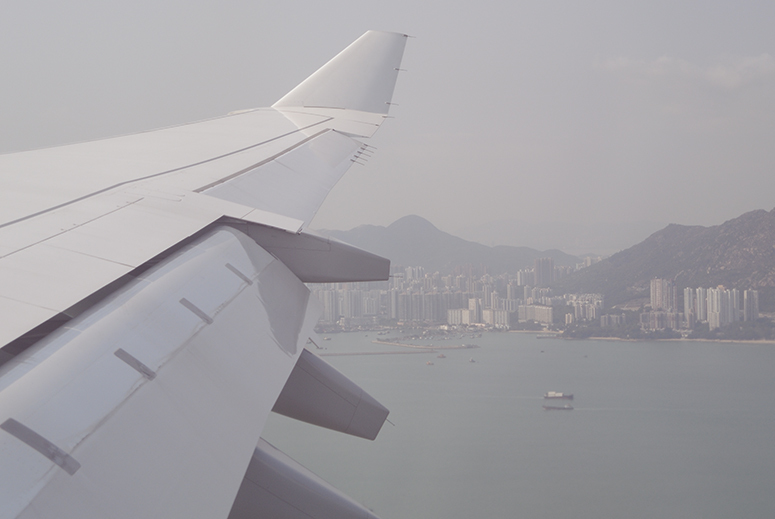 Before landing, a took some pictures of Hong Kong! So beautiful! We saw these buildings on the way to my aunt’s house. 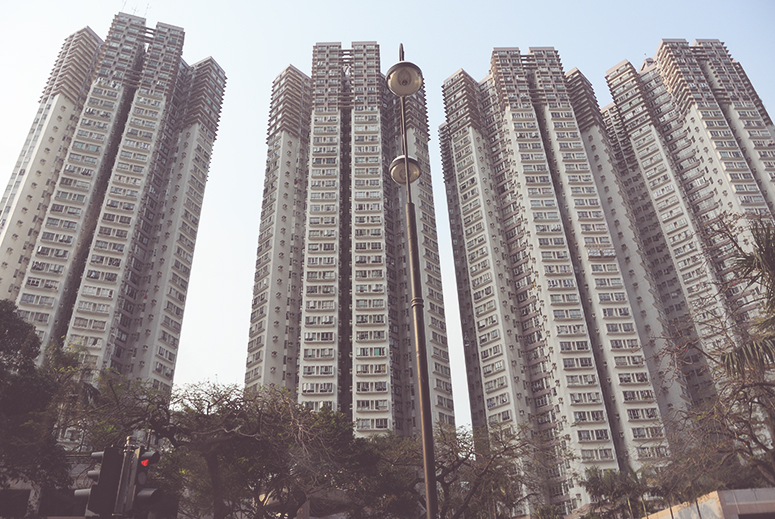 This is how tall the apartments are in Hong Kong! You have to be very rich to not live in one of these! They also have double decker busses here like they have in the UK and Ireland. It’s amusing seeing them here after being in Ireland so long. But they are so much better equipped than the Irish ones! Hehehe. At my aunt’s house. The airport gave us those bunny ears for free! We went out to eat! 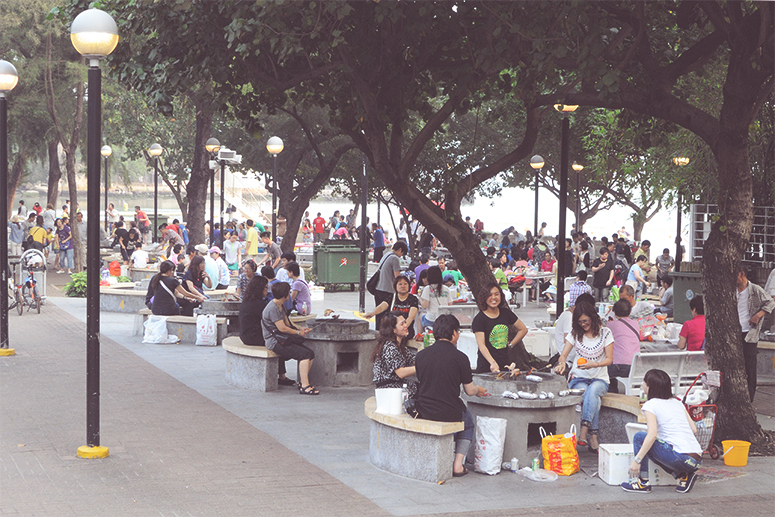 Many people were barbequeing as it was a long weekend for Easter! They look like they’re enjoying themselves! The restaurant we went to..
We left the restaurant right away after dropping my grandma off. 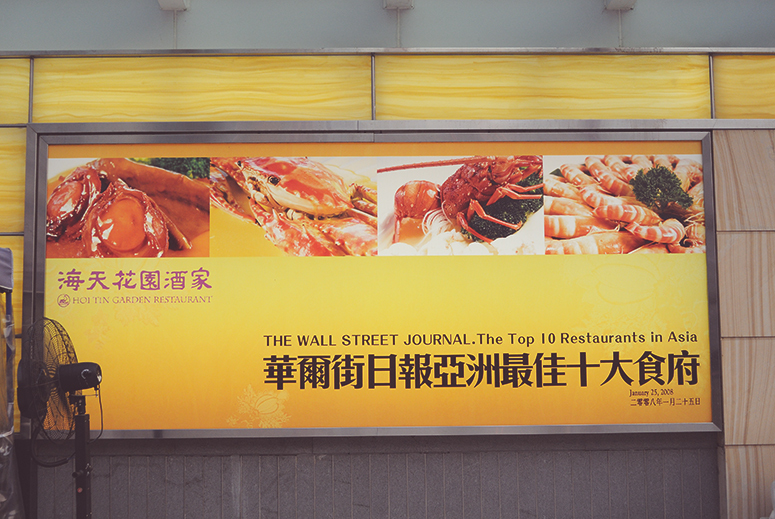 It is a seafood restaurant. But you don’t order there! 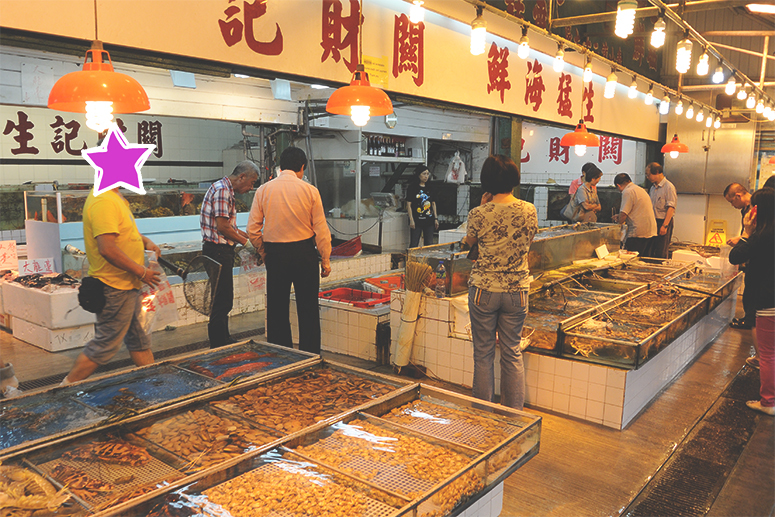 Next door there are manyyyyyy seafood stalls! You pick what you’d like to eat. It’s super, super fresh. 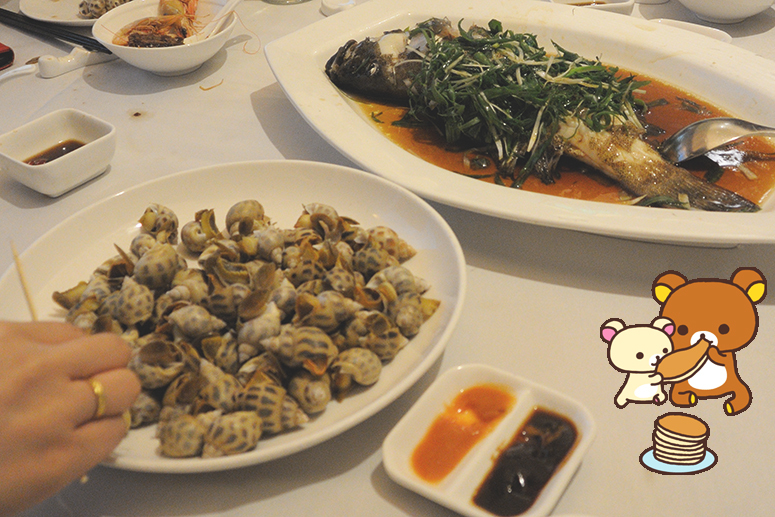 The moooost fresh and delicious seafood I had! 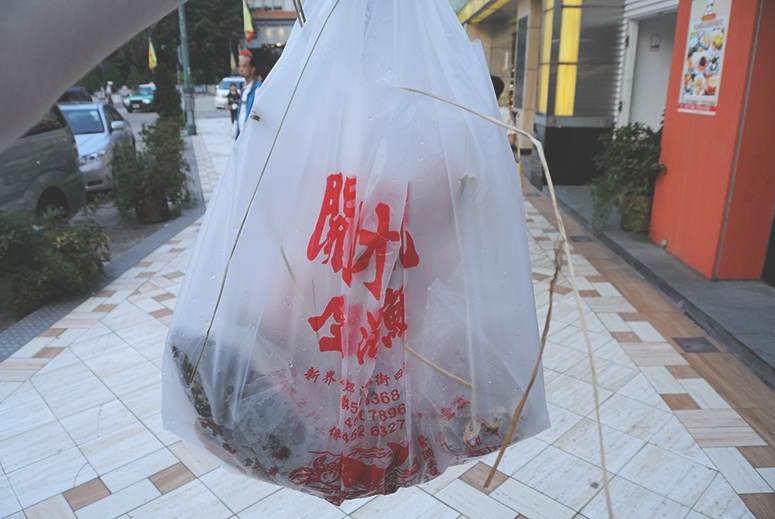 Here’s our bag of seafood for the restaurant. Our dinner was still alive! 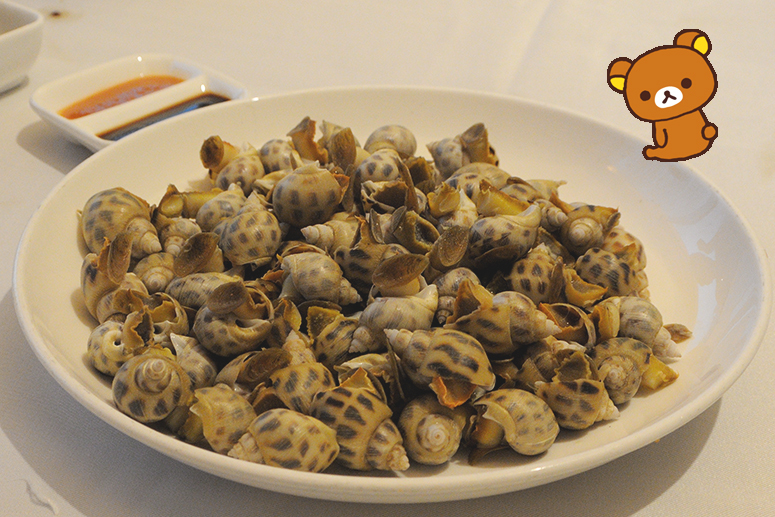 First up.. we had some kind of snails.. hahaha. Sorry if it makes some of you squirmy. Actually, I didn’t think they were good! They lacked flavor, but they did taste fresh. 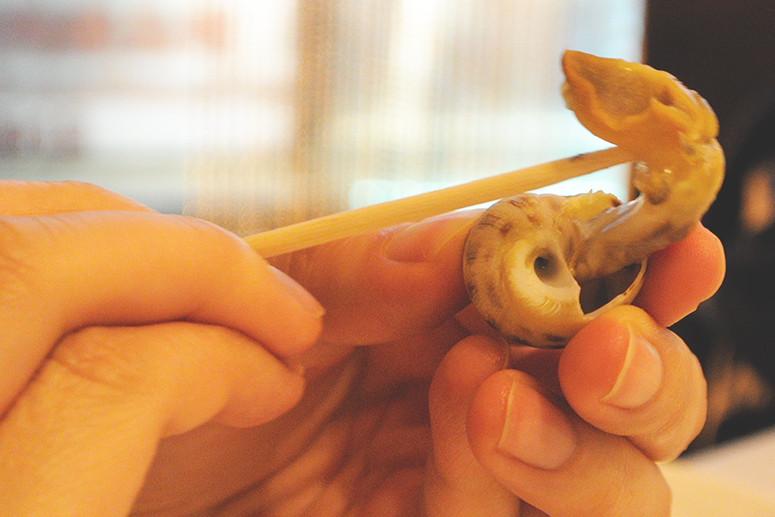 You have to use a stick to get the snail out! It was soooooo good. I would even say it tastes sweet. No, there is no sugar added. 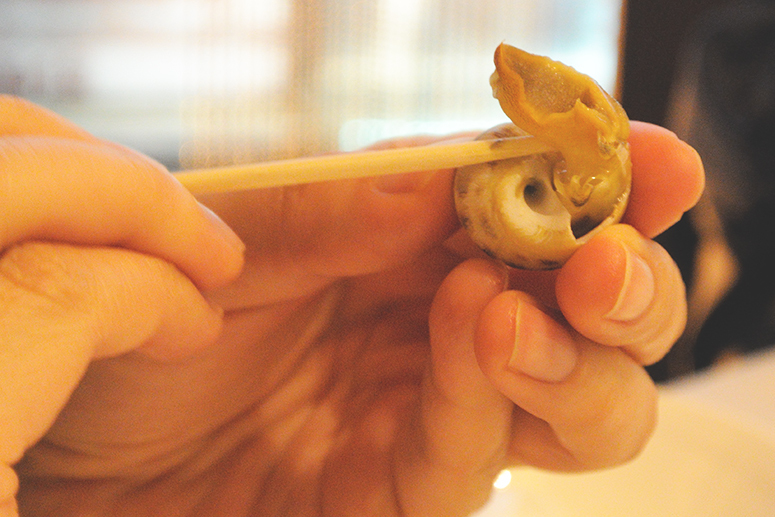 When seafood is so fresh, it really has a nice sweet flavor. And also sweet shrimps. Very big too! I do feel rather guilty.. I don’t like eating meat very much to be honest. I really only like the flavor. But food like this could never let me be vegetarian… It was so tender and good. And the skin was the right crunchiness! 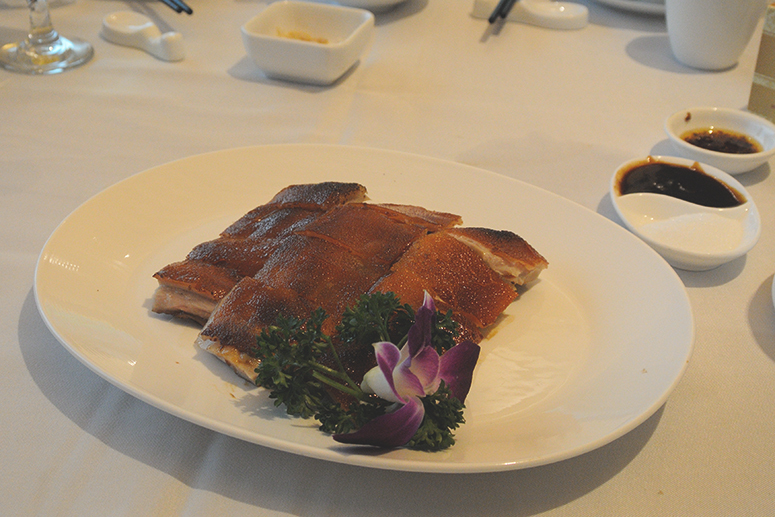 You dip the pork into the dark sauce on the right, but if you like it sweet, you can also dip it in the sugar! 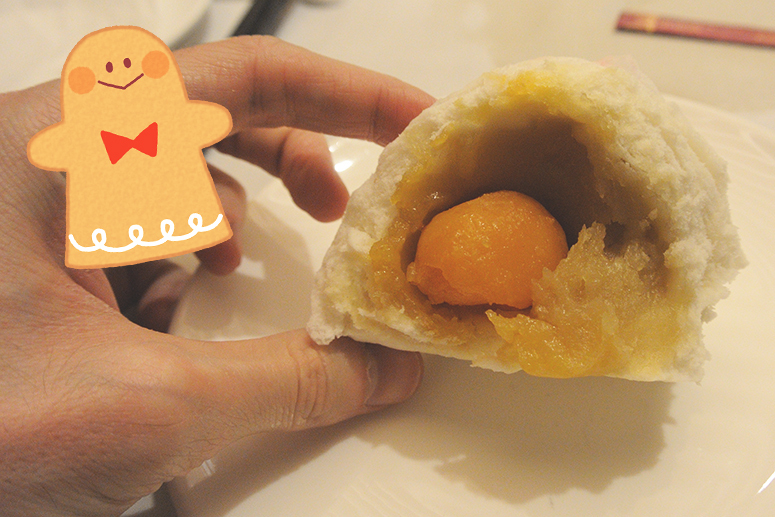 Inside is taro and egg yolk. Those man hands are not mine, but a.’s, hahaha. We had a nice evening walk after. It was rather warm already in mid April. Did I mention it was 28C/82F in Hong Kong? That is a rather bearable temperature, but not so much when it is sooo humid! So it’s nice to walk in the evening when it’s a bit cooler. 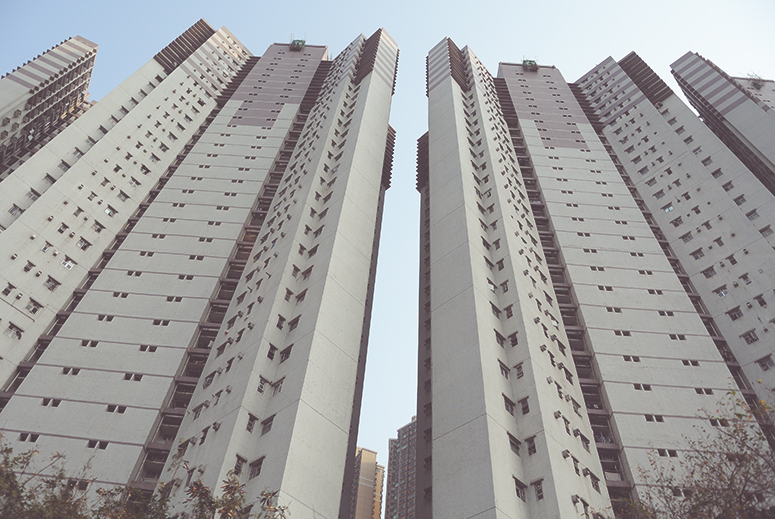 This is my aunt’s apartment block! 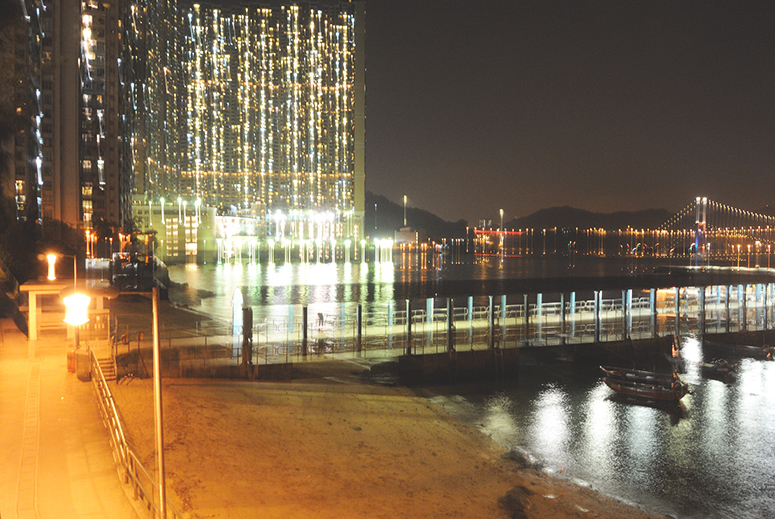 Do you think Hong Kong looks fun? 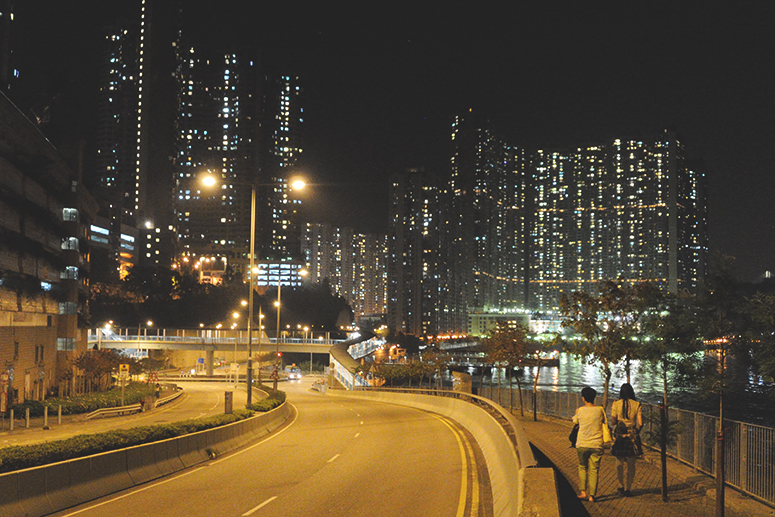 Do you feel you understand the atmosphere of Hong Kong? 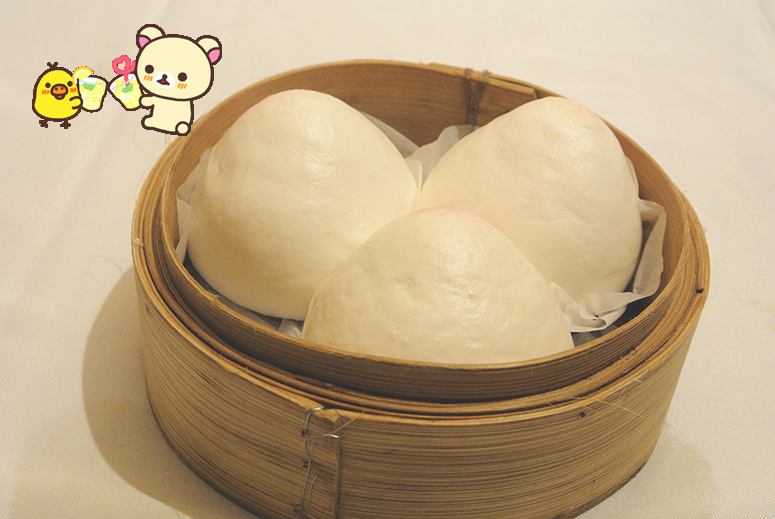 Food is really the highest point for me about Hong Kong. I know I am definitely biased, but I never tasted food so good anywhere else! So I can’t believe this is just Day 1 of my trip…. I hope you guys will want to see more. 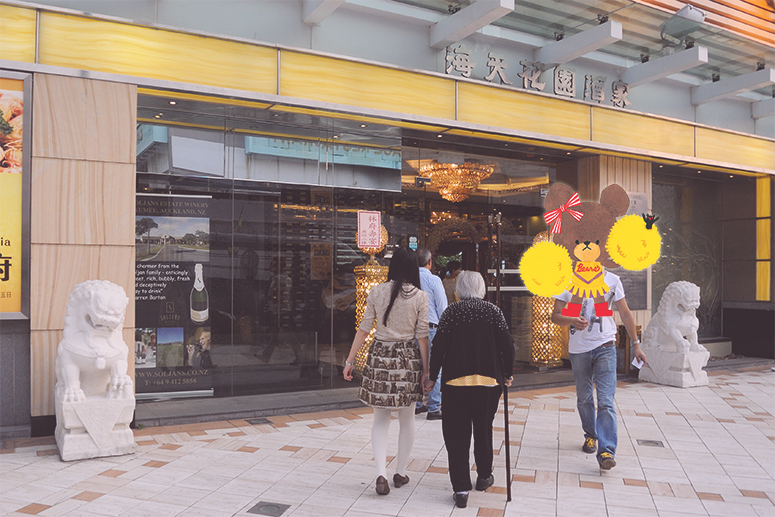 This entry was posted in blog and tagged Hong Kong. Post a comment or leave a trackback: Trackback URL. 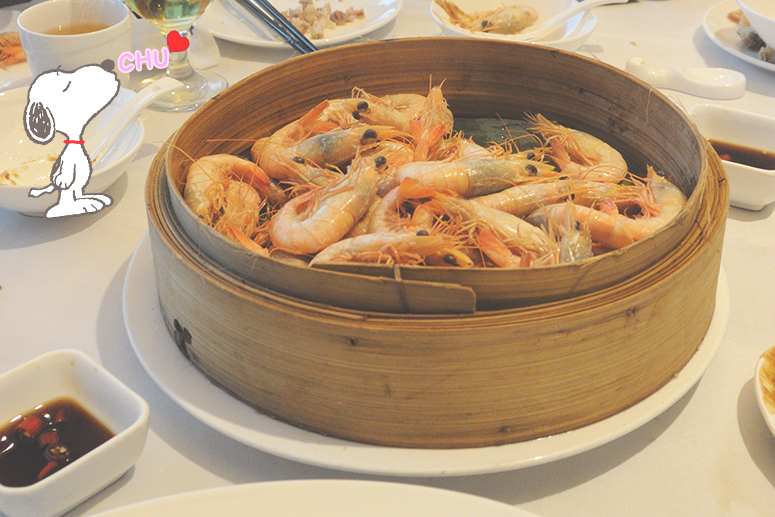 Wow, I hope I will be able to go to HK one day, the seafood restaurant has really interesting concept! I’m glad you want to do! Yes, the seafood restaurant is quite interesting. It’s good to see you comment again. Thank you so much! I’m glad you enjoyed it… Especially when I can post all about Japan so if you are interested in Hong Kong too, it makes me really happy!